Karen was educated in Texas at the University of Houston, where she graduated with a Bachelor and Master of Music in vocal performance. Additional study in operetta was completed at the Mozarteum Summer Academy in Salzburg, Austria. In 2006, she graduated from Columbia University, Teachers College, with a Doctor of Education degree. Karen’s doctoral research and subsequent teaching guide concerning music theater vocal pedagogy--An Introductory Guide for Teaching Music Theater Vocal Pedagogy and Styles: Designed for Singers and Experienced Classical Teachers--has been recognized by the College Music Society, the National Association of Teachers of Singing, the Voice Symposium, and the Texoma NATS Artist Series. Most recently, NATS and Scarecrow Press invited her to write the book on music theater singing as part of their innovative new series titled So You Want to Sing, a collection of singing books encompassing all styles of singing. In addition, she serves as the Series Editor for the entire project. Karen was chosen to be a NATS Intern in 1995, has served on the NATS Board of Directors—Boston Chapter, and on the Board of the New York Singing Teachers Association (NYSTA). 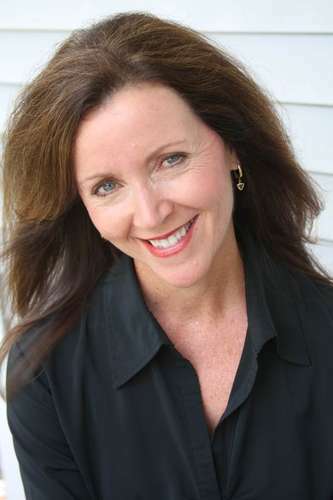 Currently, she is the Associate Editor for “The Independent Teacher” column in the NATS Journal of Singing. A versatile performer, Karen has performed in opera, operetta, concert, oratorio, recital, chamber music, and music theater throughout the United States, most notably on the PBS special Masterclass, with the Seattle Opera, Seattle Symphony, Seattle Civic Light Opera, Hidden Valley Opera, and the Victor Herbert Festival Ensemble in Saratoga Springs, NY. She is a five-time Metropolitan Opera Regional Finalist and has won awards from the Texas Federation of Music Clubs, the Vocal Arts Foundation in San Francisco, and the Eleanor Anderson Lieber Awards. She has four recordings to her credit: The Frogs and Sweeney Todd both by Stephen Sondheim, American Songs in Recital, a solo CD of American art songs and music theater selections, and the Pulitzer-prize winning recording On the Transmigration of Souls by John Adams, recorded with the New York Philharmonic Orchestra. Karen lives in Santa Fe, New Mexico and teaches in her private studio Songwerks. Previously, she has been a faculty member at the Crane School of Music/SUNY Potsdam, the Boston Conservatory, the Berklee College of Music in Boston, New York University, and the University of Miami. During the summer of 2010, Karen was a Visiting Professor at Mahidol University in Bangkok, Thailand.